Abu Dhabi: The Abu Dhabi Federal Appeal Court on Wednesday sentenced three Arabs to 15 years in jail and fined each of them Dh500,000 on terrorism charges. The three convicts, two Egyptians and a Saudi citizen, were found guilty of promoting the ideology of terrorist organisations and breaking the UAE Cybercrime Law No. 5 of 2012. The men will also be deported after serving their jail terms. The court also ordered the confiscation of their laptops and cell phones and shutting down of their social media accounts. The men were also found guilty of harming the UAE’s relations with a neighbouring country. The court also heard a number of terror-related cases. In one such case, the prosecutors charged 12 men with espionage. A prosecution witness told the court an Arab intelligence officer recruited a number of bankers and employees in a government department to obtain sensitive information about leading officials and businessmen. The witness said in his testimony that each spy was paid Dh100,000 and a Mercedes car for passing on the details of bank accounts and properties of the high-ranking officials. The court adjourned the case to May 9 to hear more witnesses. 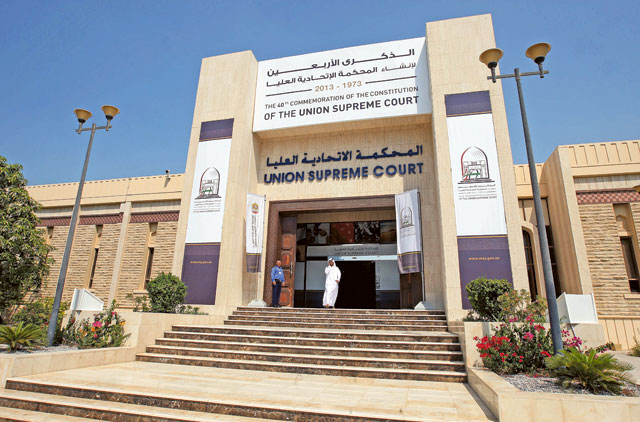 In a separate case, the court heard the lawyers of nine Arabs, charged with promoting the ideology of terrorist organisations, including Daesh, and insulting UAE leaders on a social media account. Their lawyers, Hassan Al Reyami and Mohammad Al Azazi, demanded that the defendants be cleared for a lack of evidence and wrong investigation procedures. The court fixed May 9 for pronouncing the verdict. In another case, a citizen of a Gulf country charged with joining Al Nusra Front terrorist organisation and training alongside their elements in Syria had his hearing adjourned to May 9. The defendant told the court that he had turned himself in to the authorities and informed them of his wrongdoings. He demanded that he be cleared of all charges. Another citizen of a Gulf country, charged with insulting the UAE’s leaders and harming relations with a sisterly country, had his hearing adjourned to May 9. Although the defendant told the court that he would represent himself and required no lawyer, the court adjourned the hearing to May 9 to assign a lawyer to him.